On Sunday in Melbourne, Novak Djokovic made history by winning his sixth Australian Open, two more than anyone else in the open era and tying the record of Roy Emerson in the 1960's. It was Novak's 11th Grand Slam win. 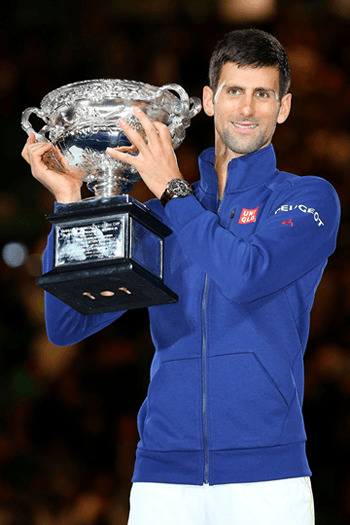 Seiko is very proud to be Novak's watch partner and to see Astron GPS Solar on his wrist as he raised the trophy. Could 2016 be another stellar year for Novak? We hope so!